It’s official. There’s a new tax code starting in 2018. 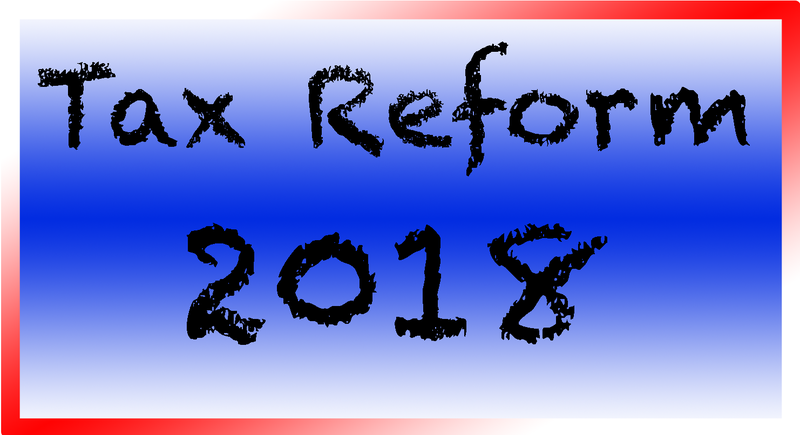 Actually this is the first significant reform of the U.S. tax code since 1986 and the days of Ronald Reagan as president. This measure is sure to shake up life for millions of Americans. It will influence decisions about whether to buy a home and even have an affect on unhappy couples deciding to get divorced. While none of this will affect your 2017 taxes, it’s good to know what lies ahead for 2018. How will it affect your personal situation? Well, here are 26 things to help you understand the new tax code. Individual provisions with this new tax reform are set to expire at the end of 2025. Most of the corporate provisions are permanent. This new tax reform will increase U.S. deficits by about $1.4 trillion over the next decade. I’m thinking this isn’t a good idea, right? This is the net number as stated by the joint committee on taxation. Plus, deficits might go higher if the individual tax cuts get renewed in 8 years. Where is all the money going to come from to support our current programs with all these deficits? A little worried about this going forward. 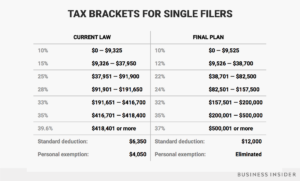 In case you don’t already know, there are 7 tax brackets for individual taxpayers. While this new tax code keeps the seven tax brackets, the rates have changed. The new tax brackets are taxed at 10%, 12%, 22%, 24%, 32% 35% and 37%. It seems that government wants fewer people to itemize their taxes. To make sure of this, the new tax code almost doubles the standard deduction rates. By upping the standard deduction, many will no longer qualify to itemize on a Schedule A. This means no need to worry about mortgage interest and property tax deductions. There’s a catch for families though and it’s #5. The personal exemption is gone as in no longer exists. Completely disappeared. How does this make a difference? Well, if you have a family of 4 you no longer get to claim personal deductions (or exemptions as tax code calls it) on anyone in the family. Although the standard deduction got raised, this could have a negative impact for families with several children. In 2017, you claim a $4,050 personal exemption for yourself, your spouse and each of your dependents, which helps to lower your taxable income. This is no longer true for 2018. 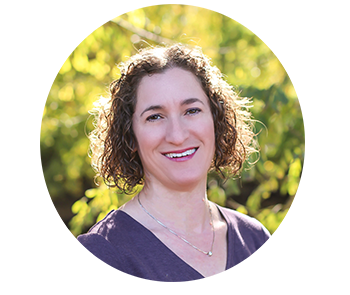 For some families, the elimination of the personal exemption will reduce or negate the tax relief they get from other parts of the reform package. The state and local tax deduction for those who itemize deductions is still available. However, there’s now a $10,000 cap. Previously, filers could deduct an unlimited amount for state and local property taxes, plus income or sales taxes. This is no longer the case. Again this is only for those who itemize deductions on Schedule A. The child tax credit has gone from $1,000 to $2,000 for children under 17. The credit can now be claimed by single parents who make up to $200,000, and married couples who make up to $400,000. This is a huge increase in income for those able to claim this credit. If you have a family, this could definitely help you out, especially after losing personal exemptions. The new tax code now includes a tax credit for non-child dependents, like elderly parents, children living with you over the age of 17 or adult children with a disability. Taxpayers may now claim a $500 temporary credit for any non-child dependent. Pass-through entities like LLC, S corporations, partnerships and even sole proprietors will get a break. Starting in 2018, if you file a Schedule C, 20% of your business income will be deductible to you on your personal return. This could mean great things for small business owners. You are basically getting to take 20% of your income as a small business owner. If you are an owner of a pass-through entity (like an LLC, a partnership, or an S Corporation) and receive a K-1 for your business profits, 20% of your business income will be deductible to you as well. Again this could mean decent tax savings for small business owners. Be aware that there are very specific rules related to this deduction many of which are still be ironed out. Definitely need to keep an eye on this deduction for 2018 and beyond. The legislation includes a rule to ensure owners don’t game the system, but tax experts remain concerned about abuse of this provision. Fewer people will have to deal with the alternative minimum tax. This is a confusing tax in the first place, so this could be a good thing. To put it simply the exemption for AMT (alternative minimum tax) has been raised to $70,300 for singles, and to $109,400 for married couples. While many thought the mortgage interest deduction was going away. That is not the case. However, the mortgage interest deduction has been lowered. Current homeowners are grandfathered in, so no need to worry. But starting in 2018, anyone buying a new home will only be able to deduct the first $750,000 of their mortgage debt. Previously, it was $1 million. This could definitely have an impact on anyone buying a home in expensive real estate area. You are still allowed to take second home mortgage interest (RV qualifies as a second home as long as it has a bathroom, kitchen and sleeping space), but it is subject to the same $750,000 limit. With the rise in the standard deduction many will not qualify to take any mortgage interest or property taxes. Student loan interest deduction did NOT go away. The deduction for student loan interest, which is up to $2,500 per year, is still allowed. If you itemize deductions and have large medical expenses, this could be beneficial to you. Only for 2018 and 2019, the medical expense deduction has changed to 7.5% of adjusted gross income. This is down from the previous 10%. So if you’re medical expenses are greater than 7.5% of your AGI, then this change might help you. But only if you itemize deductions which many will not be able to do. Remember it’s only for tax years 2018 and 2019. No need to worry. They kept the educator expenses deduction of up to $250. What teacher or educator doesn’t spend at least $250 of their own money in their classroom? I believe most do, so this it’s nice that this remained untouched.. The electric car tax credit lives on. Woohoo! This is a credit of up to $7,500 for all electric vehicles only. Does any RVer have an all electric vehicle? I’m not sure, but it’s still good to note if you plan on getting one as a towed. The full amount is good only on the first 200,000 electric cars sold by each automake and GM, Nissan and Tesla are all expected to reach that number some time in 2018. 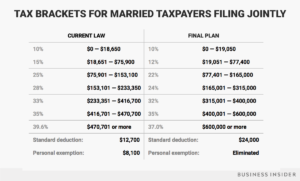 If you didn’t already know, your personal residence is exempt from taxes up to $500,000 for married filing joint and $250,000 for single filers. This is exemption was kept, so homeowners get to keep the profits from a home sale with no tax consequences. Remember, you can only exclude up to $500,000 for married filing joint (or $250,000 for single filers) from capital gains. Also, this must be your primary home and must have lived there for two of the past five years. Some may rejoice at this and others might be upset. It’s a heated topic. Nevertheless, starting in 2019 the individual mandate on health insurance will disappear. This could have some major repercussions on the health insurance rates and could also lower the coverage rates significantly. The Congressional Budget Office has predicted that as a result, 13 million fewer people will have insurance coverage by 2027, and premiums will go up by about 10% most years. Not good in my eyes. Everyone should have access to affordable healthcare. This was another heated topic and thankfully, tuition waivers for graduate students will remain tax-free. This means that graduate students won’t have to pay income taxes on the tuition waiver they get from their schools. Getting ready to finalize a divorce? Be aware of this new rule. The new tax reform has closed the door on tax deductions for alimony payments. Yes. No longer will the payer be allowed to deduct alimony payments from personal income. This provision will apply to couples who sign divorce or separation paperwork after December 31, 2018. Did you even know you could claim a deduction for moving expenses for a work related move? Well, this deduction has been removed. No longer can you claim a moving truck, hotels or other moving related expenses when you move for work. There may be some exceptions for members of the military. If you fit into that category, you’ll have to explore this provision further. If you itemize deductions, you could take a deduction for tax preparation fees or the cost of tax prep software. This is no longer true for 2018. It’s been eliminated. I’ll give you a tip to get around this rule. If you have a business, a tax preparer can charge the full fee to your business which can take the deduction. Not all tax preparers might be comfortable with this, but it’s worth asking. Did you know that if you suffered a loss from a fire, storm or theft, you could be eligible for casualty losses related to that event. Well, this is removed for 2018-2025. Starting in 2018 you can only claim a casualty loss if the event was declared an official national disaster. Your loss must still exceed 10% of your adjusted gross income. This could hurt anyone who suffers a loss due to a house fire or a localized flood. But it would still give someone whose house was destroyed by a California wildfire or a major hurricane some relief. Prior to 2018, the amount of money exempt from estate tax was $5.49 million for individuals ($10.98 million for married). With the new reform almost everyone is exempt from the estate tax. How does this work? Well, the exemption has now doubled. If you don’t know, estate tax applies to the transfer of property after someone passes. If you don’t already know, a 529 plan is a tax-advantaged savings plan designed to encourage saving for future college costs. 529 plans, legally known as “qualified tuition plans,” are sponsored by states, state agencies, or educational institutions and are authorized by Section 529 of the Internal Revenue Code. With the new tax code 529 savings accounts can be used in new ways. Prior to 2018, money from used from 529 savings wasn’t taxed as long as it was only used to pay for college expenses. Big news for all those C corporations. The corporate tax rate is coming down. The corporate tax rate is dropping from 35% to 21% starting in 2018. Also, the alternative minimum tax for corporations has been thrown out altogether. It was said that these new rules would put tax preparers out of business. Well, I disagree with that statement. There are still lots of deductions and credits which can get confusing. Plus, small business filings with new credits could be even more complicated. I strongly advise you to reach out to a trusted tax professional for help with these new rules. A good tax planner will help you navigate your personal situation to benefit the most you can from any set of deductions and credits available. If you’re feeling lost and need some help, feel free to reach out.